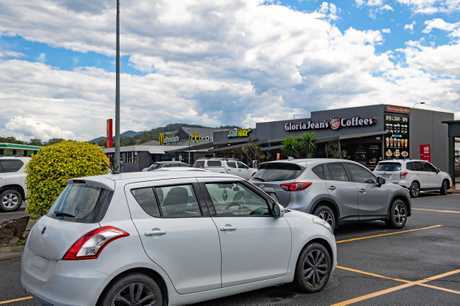 A PROPERTY developer and owner of two fast food outlets at the South Coffs Service Centre has expressed concerns about the parking situation at the hospital. Bob Cruickshank owns Subway and Gloria Jeans and says the 150 parking spaces at the service centre are regularly taken up by staff who don't want to pay for parking at the hospital. "It's one hell of a problem and it's got beyond a joke and we can't afford to put parking officers in," Bob said. He says the industrial area around Isles Drive is also clogged with parking overflow from the hospital. At an annual meeting of service centre business owners last week it was identified as a major issue and they've written to the hospital and the contractor undertaking the major upgrade to express their concerns. Currently staff must pay $2 a day for parking with visitors charged $5 a day. Councillor Keith Rhoades is also concerned at the lack of parking and raised it as a matter of urgency at a recent council meeting, asking staff to seek further information. Deemed a State Significant Project the NSW State Government is taking the lead on the redevelopment with no requirement for a council development application. "We have found it hard to get information about it but overall there could be no increase in parking over what's existing, and there could even be a slight decrease in number," he said. "To offset this (loss), car parking spaces will be constructed during the redevelopment; some of which will be located near the new Emergency Department, Cancer Centre and Renal Unit." As a developer of over 40 years experience Mr Cruickshank says the situation is pathetic. "For every 100 square metres of development I've got to provide 2.5 car parking spaces and if I can't provide that, council charges developer contributions," Mr Cruickshank said. He developed the Forestry Corporation building in Coffs Harbour and estimates he paid $130,000 in developer contributions to council to make up for the parking spaces he could not provide on site. 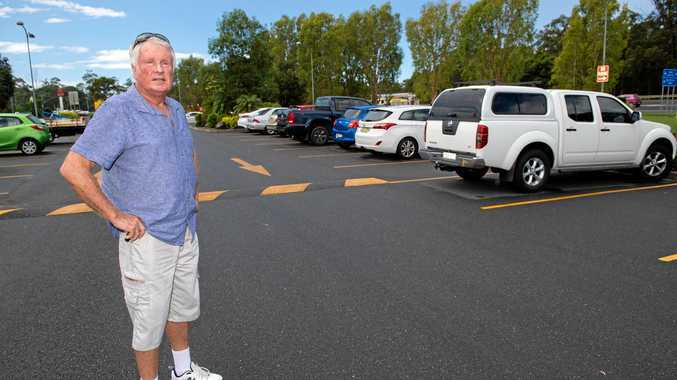 "I wouldn't be surprised if council had in excess of $10-million in consolidated funds to provide car parks and they haven't been doing it," Mr Cruickshank said. While Cr Rhoades agrees that the state government should provide adequate parking, just as private developers like Mr Cruickshank are required to do, he denies council has millions of dollars sitting in consolidated funds. "Mr Cruickshank has got it wrong on that one. Believe me, if we had $10 million for parking I would be the first one insisting on spending it." State Opposition Leader Michael Daley last week was in Coffs Harbour to announced a further multi-million dollar commitment to the expansion of Coffs Harbour Base Hospital with funds specifically for extra parking. "It should have been included in the plans in the first place," Labor candidate Tony Judge said. Mr Cruickshank voted early so last week's announcement would not impact his decision but he hopes the promise comes to fruition. "I hope it holds true - it's a good move and I hope The Nationals match it."